Yesterday was Day One of the Audi Fashion Festival 2010 and the opening show was presented by Dean & Dan Caten of Dsquared² who showcased their F/W 2010 collection (with looks from both the men & women collections) featuring supermodel Carmen Kass who opened & closed the show. AND we got to watch Tokio Hotel perform after the fashion show itself. 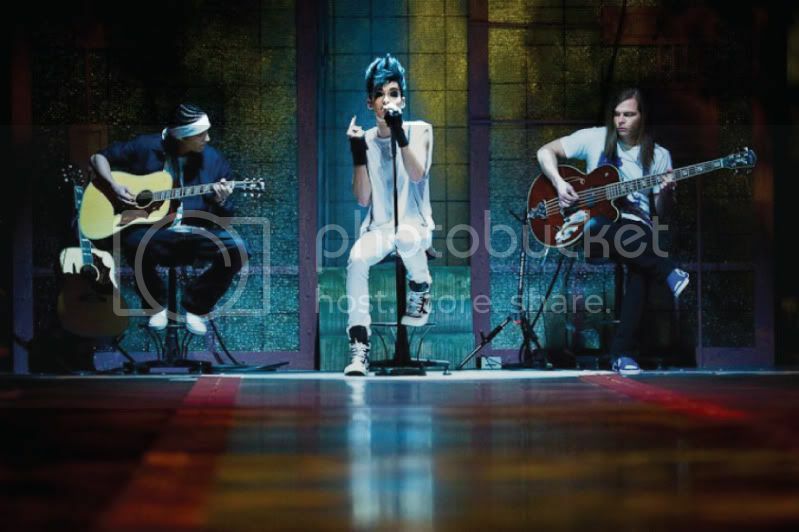 It's Tokio Hotel's first time in Asia & Singapore so we were kinda lucky to watch them perform live. Alot of the people who watched the fashion show didn't return to watch TH, which was good news for the loads of screaming fans waiting outside who were let in to watch the mini showcase (I think that was what happened coz the side I was sitting at was barely half filled). 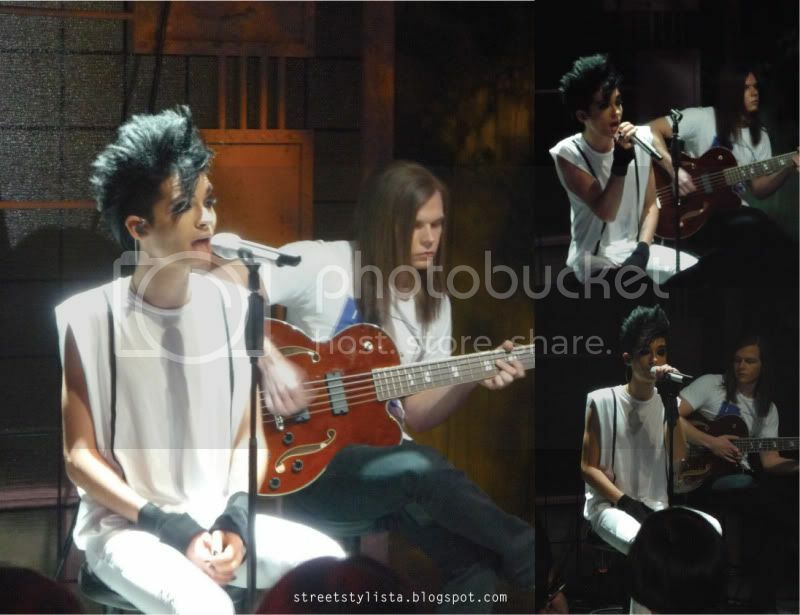 Was so totally drawn to Bill Kaulitz that I didn't take any pics of his twin brother who was sitting on his right. Haha. Love his crazy mohawk hair. Bill opened & closed the Dsquared² Mens F/W 2010/11 show in Milan earlier this year which was pretty amazing. Check it out here & here. TH fans, you can watch their performance of the 2-song showcase here. *Attempted to take a photo with the Caten twins but people started rushing to them that they had to be ushered backstage. Before the show, I was standing outside the tents and they literally walked past me and no one around actually realised, I was alittle star-struck and of course only realised I should have quickly whipped out my camera to snap a quick photo AFTER they walked past. Smart move. AFF Updates: Blogger Bryanboy & Henry Holland will be making appearances at AFF. In fact, they are both in Singapore right now according to BB's blog! There are still available tickets to the Henry Holland show this Saturday at 7pm. Buy the tickets now!